Income Tax was always viewed in this same light. The idea that the government had a right to know how much private income someone earned, was deemed for many years to be an inexcusable invasion of personal liberty. It was fought, heckled, demonstrated against, and pooh-poohed in the highest courts and the grimiest taverns. As such, income tax was not established until the late 18th century, and was highly controversial for at least a hundred years. Only now is it accepted as unavoidable. 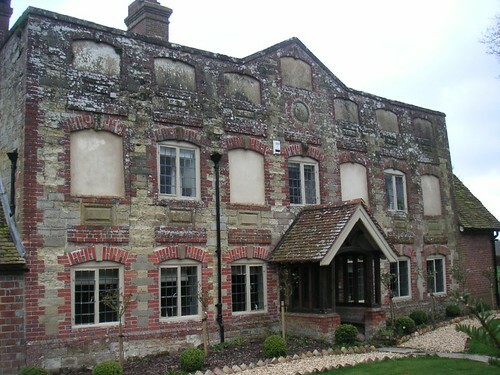 AD 1696 was the year of the Window Tax. It was also the year of suspending habeas corpus (the right of a person not to be imprisoned indefinitely without evidence of having committed a crime). That right was swiftly restored – but has been lost today again, under the terror laws of post 9/11. near Lodsworth, the debate raged - airy interior versus higher band taxation? This tax also gave rise to new levels of ostentation, when the super-rich pumped their new-builds full of windows, to prove they could afford it. This particular tax lasted until 1851, when it was replaced by another one. And so the wheel turns, the ropes tighten, while houses become darker. Remember when water was free? 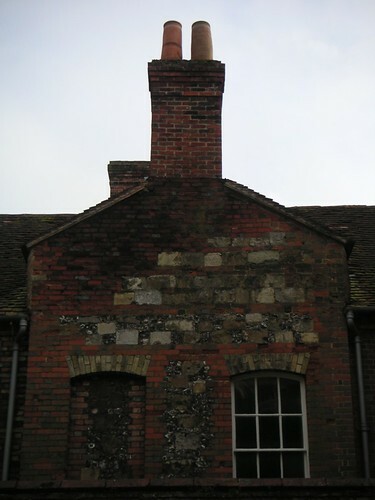 Actually Window Tax replaced Hearth Tax, not the other way round. 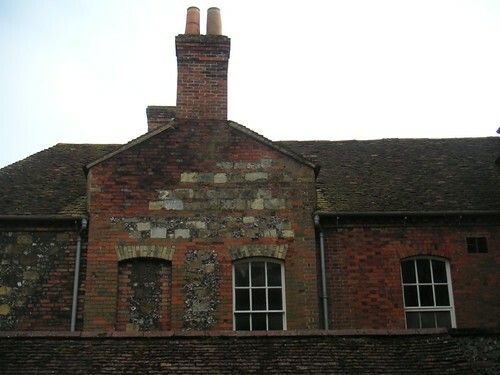 Charles II introduced Hearth Tax in the 1660s to fund the Dutch Wars, but it was even more unpopular than the Window tax later became and only lasted a few years. It did leave some very useful documents for researchers into history and architecture. Dairies and cheese rooms were exempt from Window Tax as long as they were clearly labelled as such, and it is not uncommon to see Cheese Room painted in large letters on an attic door or Dairy, Dayhouse, or Milkhouse above a dairy window. This can be on a separate board nailed over the window or carved into the stone of the lintel (in areas of stone buildings) – there’s one in the square in the middle of Montacute in Somerset.